Plastic Surgery — Ushacov M.D. 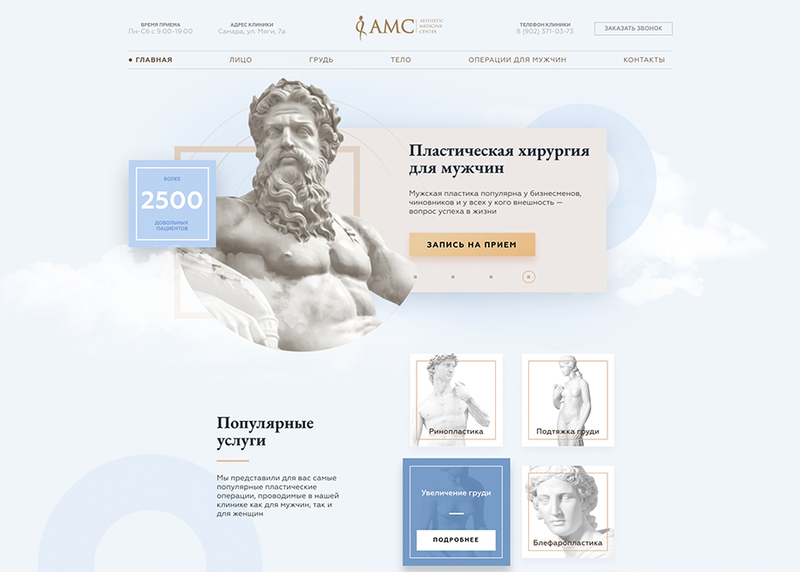 Site for a plastic surgeon Ushakov N.G. The site made in bright colors and inspired with sculptures and fundamental images of beauty, strength and health.